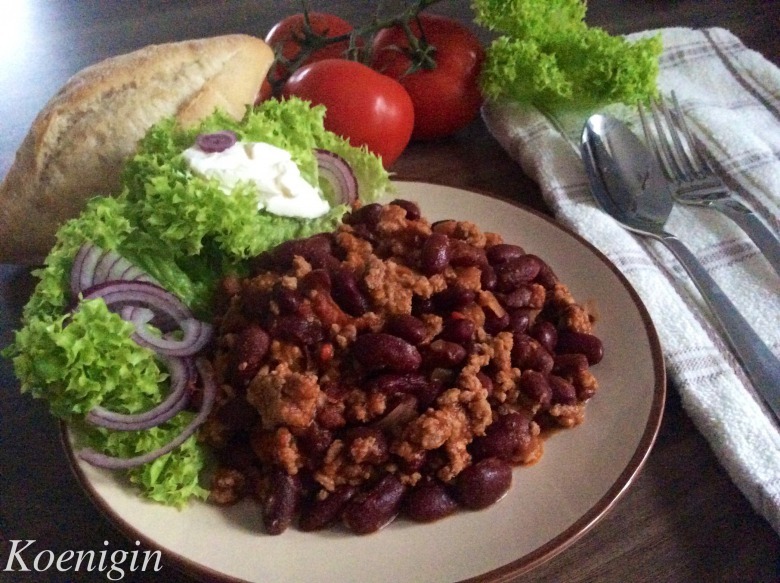 Chili con Carne (or chili with meat) is considered as Mexican dish and I also thought so for some time, but it turns that dish appeared in the United States as similar to Mexican cuisine. Dish may be slightly exotic for us, but easily prepared, not expensive and, most importantly, nourishing and warming in cold winter days that are steadily approaching. 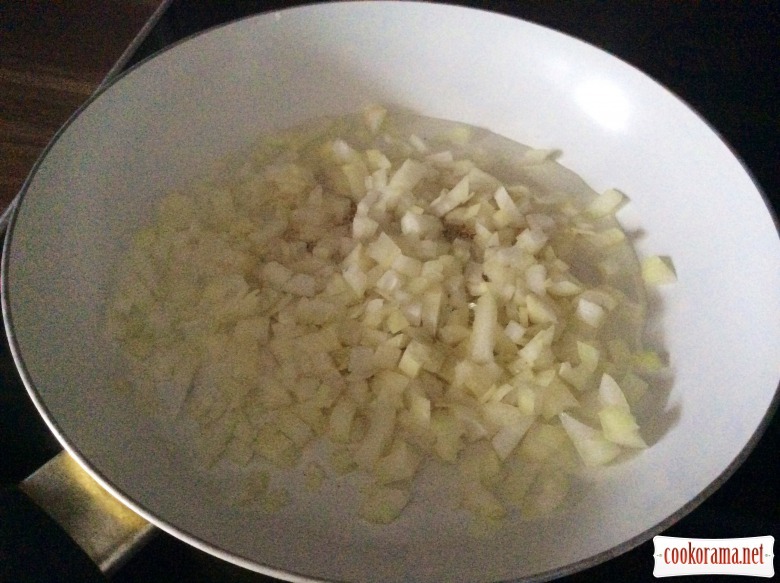 Chop onion finely and fry in oil till transparency. 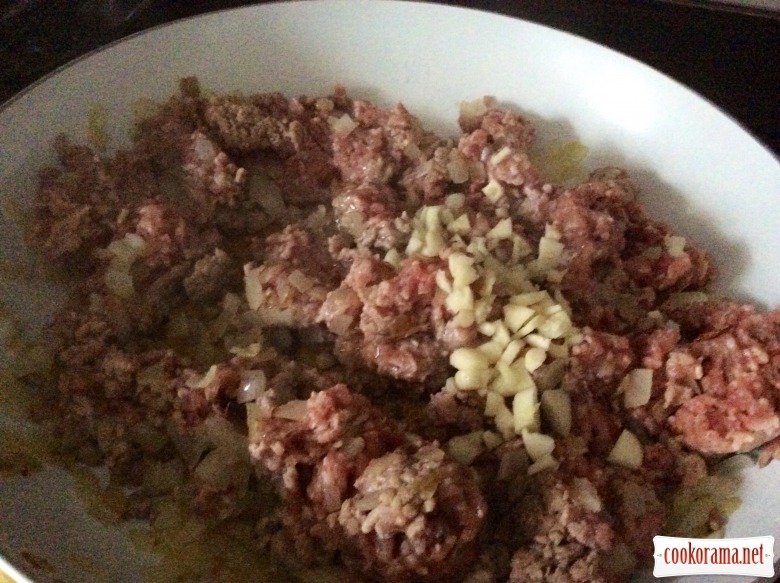 Put mince and chopped onion to it. Stir very well, to get smooth mass, avoid clumps. Fry over medium heat for 10 min. 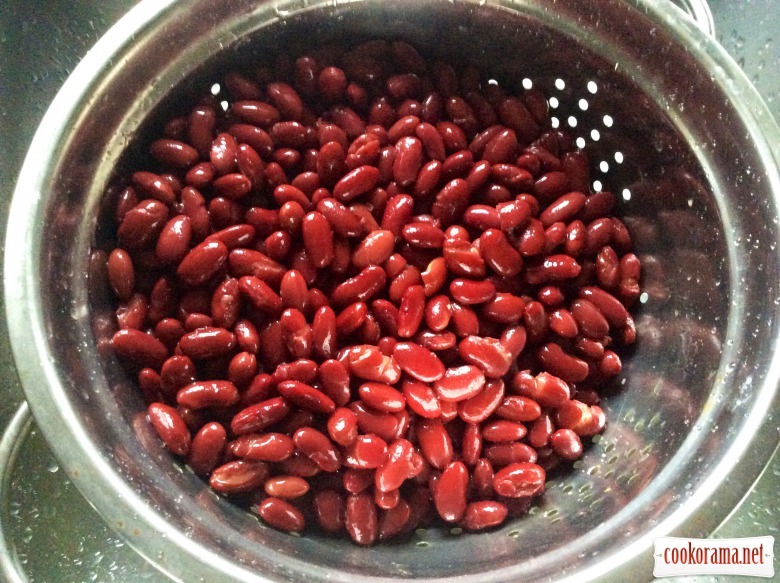 Put beans in a sieve and rinse with cold water. Of course, you can cook red beans themselves, but do this in advance. 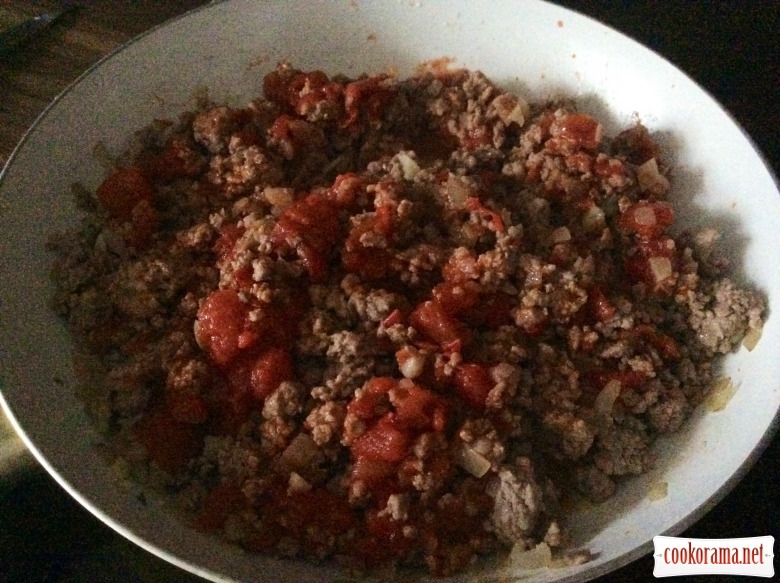 Add tomatoes to mince. If tomatoes are whole, cut them in pieces. Stir it. Put all spices in tomato juice (for only about a pinch, a little more salt) and half chili. 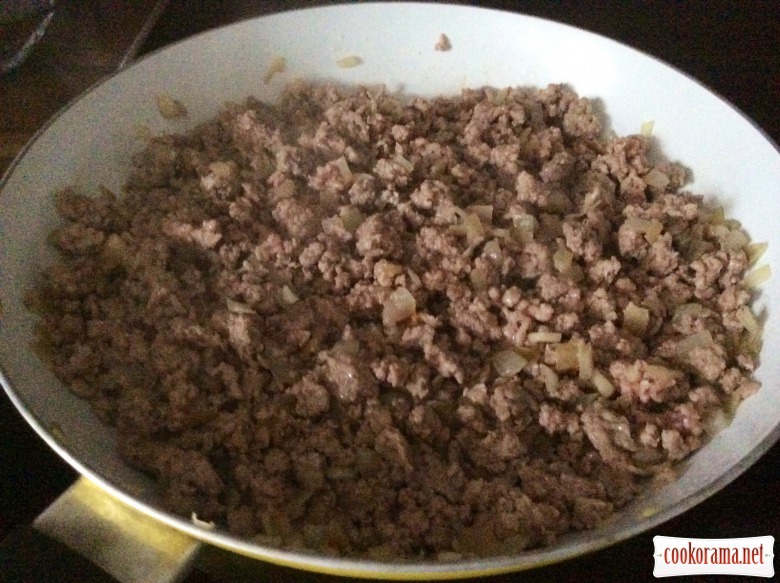 Stir and pour into mince. Add beans. 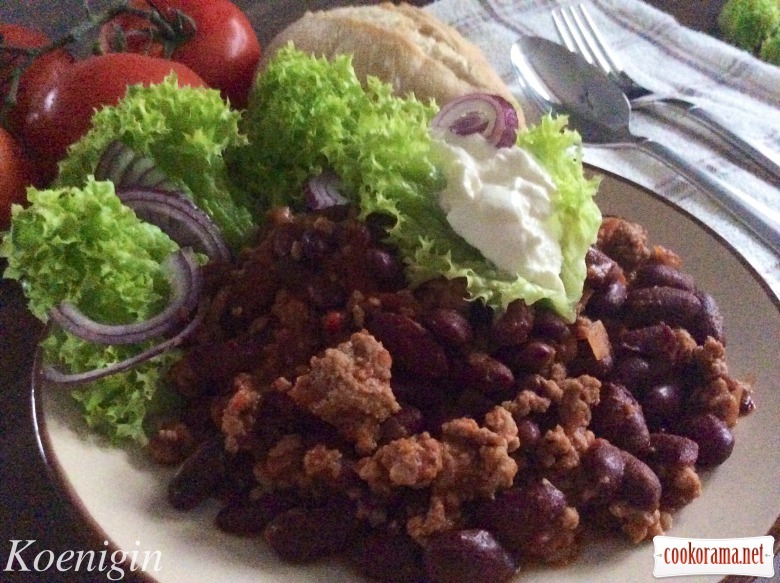 I did double portion, so shifted mince with beans in a pot. Bring to boil and stew over low heat, covered with lid for 20 min. 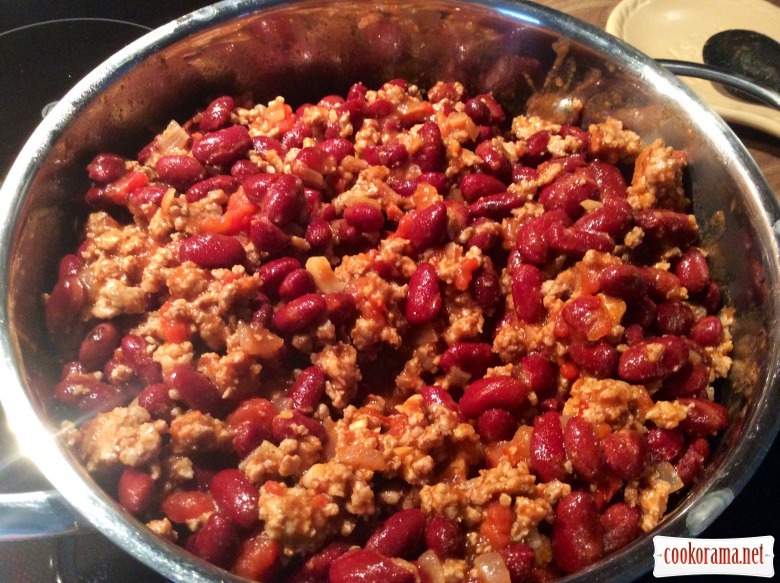 Stir periodically and gradually add rest of chili, regulating sharpness of dish to your preference. P.S. If suddenly dish will be too hot, pour liquid, add cold boiled water with several tablespoons of sour cream and stew a bit. Часто таке готую. Поєднання мяса, квасолі і томатів — це дуже смачно. І головне ситно. Чоловік потім пів дня ходить ситий і задоволений. О, це справді смакотаі дуже ситно! О! У неділю прийде сестра з чоловіком у гості, то я їх нагодую досхочу цим блюдом! Клас!